At Berkshire Woodmasters we pride ourselves on delivering a complete service from design to installation, excelling in quality and customer service every step of the way. We've been building our reputation since 1979, completing a wide range of home improvement projects. Whether you're looking for a new kitchen, bedroom or bathroom or just some extra space, we can design and manage the whole project for you. Now isn't that a weight off your mind? 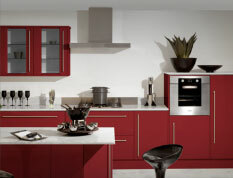 View our range of services and our extensive gallery of kitchens. We're sure you will find a look for your special place whether its retro or contemporary. Call us today and book your completely free Design Visit at the convenience of your own home. Book a free design visit.